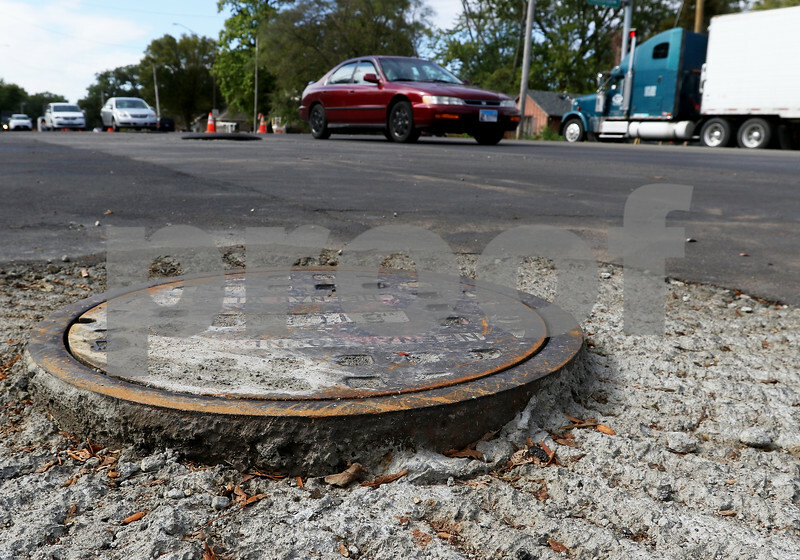 Drivers avoid manhole covers which stand approximately two inches above the road surface along Route 23 on Wednesday, Oct. 4, 2017 in DeKalb. Construction along the road has had drivers dodge the obstacles for a couple weeks, and overnight paving on Wednesday was supposed to complete the project, raising the street level to match the height of the manholes. A delay in the construction will postpone the completion of the project.